As a specialist of high-end real estate for more than 40 years, Engel & Völkers introduces you the specificities of prestige real estate in Luxembourg. What are the reasons leading worldwide actors to settle in Luxembourg or to invest in this small country located at the very heart of Europe? The Grand-Duchy is one of the rare countries where a certain tradition in the territory remains despite a strong development. Indeed, there are still quite a lot of building plots located between city and nature allowing lucky buyers to live in a calm and green environment just a few minutes from the capital. 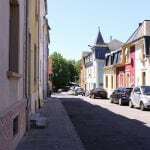 Besides, Luxembourg is full of architectural gems, namely in the North and in the East of the country as well as in the old city. Luxembourg is the territory of numerous exceptional domains. There are still 80 castles of inestimable value overlooking vast plots. Over the last decades, the fortunes of the country have built superb architect villas. Moreover, the capital is the prime location of beautiful traditional mansions ideally located in the city-center. Finally, the country sees the emergence of high end new developments offering an exceptional service to the residents. For many years, Luxembourg is characterized by a sure economic and politic stability. Besides, the announcement of Brexit has already contributed to sustain real estate market growth in the Grand-Duchy and promises excellent prospects for the following years. Louis Vuitton, Chanel ou Gucci for instance. Finally, the Grand-Duchy has holds the world record of starred restaurants per inhabitants! So many reasons making the Grand-Duchy of Luxembourg a unique place for people who are looking for an unparalleled quality of life in a privileged environment. The territory is full of high end properties and the market has a bright future ahead. At Engel & Völkers, we offer you an exceptional service, irrespective of the nature of your project. 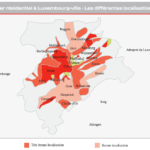 For a prestigious property acquisition or for the rental of an apartment, Engel & Völkers Luxembourg is an ideal partner to meet your needs and to offer you its local expertise as well as its global network.